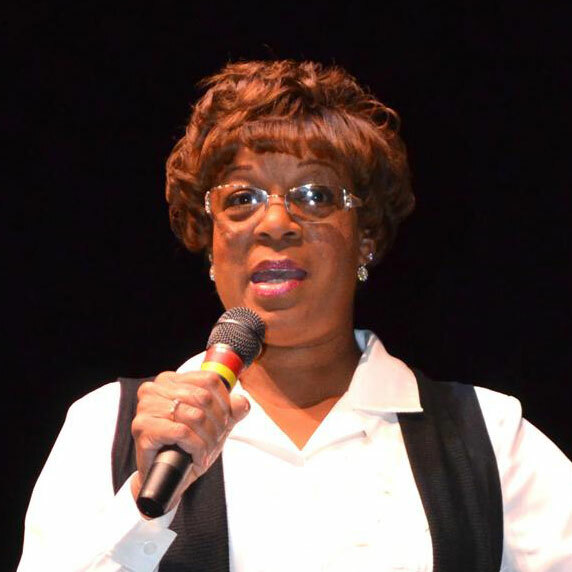 LUCY ANNE HURSTON, the niece of Zora Neale Hurston, has produced and hosted two documentaries about her famous aunt and directed the first high school production of Zora’s play, Mule Bone. Lucy is a professor of Sociology at Manchester Community College in Manchester, Connecticut, and lives in Bloomfield, Connecticut. One of the most beguiling and captivating figures of the twentieth century, Zora Neale Hurston gained fame as a bestselling author, anthropologist, journalist, and playwright. Her remarkable life is presented as never before in Speak, So You Can Speak Again. An interactive package tracing Hurston’s journey from Eatonville, Florida, to her student days at Barnard College, to her emergence as a literary star and bestselling author and cultural icon during the Harlem Renaissance and her subsequent decline into obscurity, it contains beautifully crafted facsimiles of historic papers, handwritten notes, photographs, and much more. Readers will be able to hold in their hands the charred draft notes for the novel, Seraph on the Suwannee; open a Christmas card Hurston created for her friends; and read letters illuminating her relationships with intimate friends and fellow writers like Langston Hughes and Dorothy West. 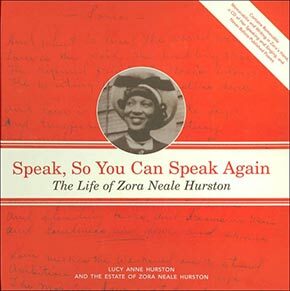 Speak, So You Can Speak Again also provides the extraordinary opportunity to hear Hurston’s own voice talking about her life as a writer on several radio interviews, and, in a powerful interlude, singing a passionate rendition of a railroad worker’s chant she learned while collecting folklore in the Deep South. Interest in Hurston continues to soar. Her most famous book, Their Eyes Were Watching God, was adapted by Oprah Winfrey’s production company, Harpo, into a film for television starring Halle Berry. The sales of her books attest to an ever-growing audience. Whether they are discovering Hurston for the first time or are devoted fans, readers will find hours of entertainment in Speak, So You Can Speak Again. Thank you. You were so gracious and kind to take time out of your hectic schedule to enlighten and invigorate our students and faculty. We appreciate your husband’s willingness to take time from his schedule as well. Thank you both, so much. Everyone I have spoken with has raved about your presentation. You gave our campus the ‘pick-me-up’ we needed right before midterms. I was tutoring a student this afternoon and he brought up your presentation. He was truly inspired by your story. He is an immigrant from Africa and feels compelled to succeed having heard your account of being a single mother beginning your education at 31. He was truly impressed! We all were. We know it is not impossible, but the possibilities you presented left a lot of us introspective; you challenged us all to do more. Thank you! The young lady you gave a book to was also aglow, as was her mother. Her mother, Kathryn, is one of my students in the African American Literature class. Her daughter, Mecca, has experienced some horrific acts against her and was highly disengaged for a long time. According to Kathryn, your presentation and personal attention brought Mecca back from the abyss she was hiding herself in. I could go on and on, but I know you are pressed for time. I just wanted you to know that your presence left a mark on our community. We really appreciate your personable and approachable demeanor. ‘Thank you’ is not enough to say but the only words I can think to use. I will check with Laurel and Belinda, the Department Chairperson and Administrative Assistant respectively, on the sale of your books and give you an update at the end of the week. Should the opportunity present itself, please come back and visit with us again.